The use of antibodies allows detection and specific binding of biologically important molecules. Despite considerable success, the use of antibodies has also disadvantages: the production is expensive and needs eukaryotic expression systems because of posttranslational modifications. Therefore, we prepared polymeric antibody mimetics (iBodies). We prepared synthetic polymer conjugates (called iBodies) capable of replacing antibodies in biomedical applications such as ELISA, flow cytometry, immunocytochemistry, Western Blot and immunoprecipitation. 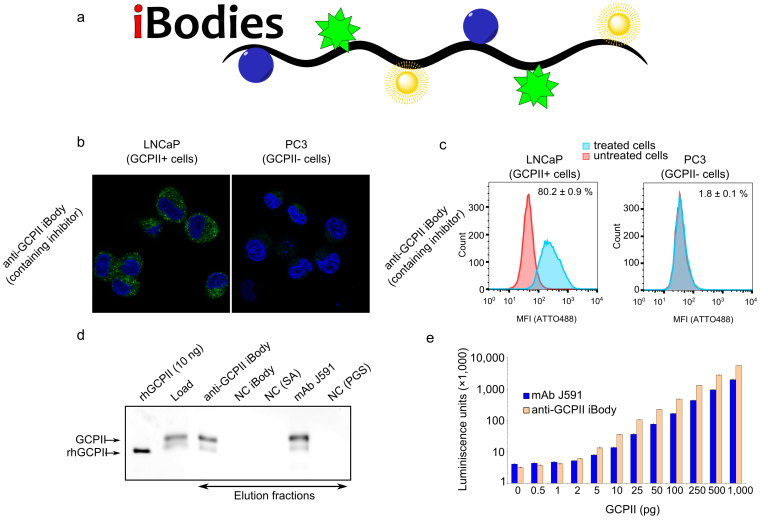 These iBodies consist of an HPMA copolymer decorated with low-molecular-weight compounds that function as targeting ligand, affinity anchor and/or imaging probe. We prepared specific conjugates targeting several proteins with known ligands (GCPII, HIV-1 protease, CA-IX, FAP, neuraminidase, and His-tagged proteins) and used these iBodies for enzyme inhibition, protein isolation, immobilization, quantification and live cell imaging as well as for classical Western Blot application. The system is remarkably modular and can be used for different biological/biochemistry assays. System of iBodies is very flexible, modular. In theory, any compound, functional group or tag can be adjusted to user need. iBodies are All-rounder; one ibody can be used for different biochemistry approaches (WB, IP, ELISA, live cell imaging). 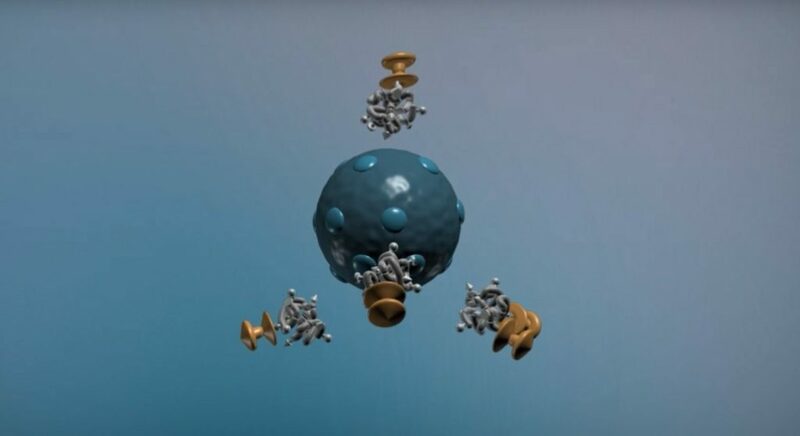 This polymer platform can be used to produce inexpensive, stable and non-animal-based antibody substitutes directed virtually toward any protein of interest with a known ligand. Additionally, the system binds close protein homologs, such as paralogs and orthologs. It enables to target native mouse proteins, which is virtually impossible with antibodies. The project is offered for co-development and licensing. Ready to use: anti-His, anti-GST, anti-GCPII, and anti-FAP iBodies (WB, IP, immunostainings on live cells, ELISA). If you are interested to read more about iBodies and our iBodies project please visit iBodies.eu. You can also find the free access paper version in the journal of Angewandte Chemistry or here.